One of the things I do is repair well-loved quilts that no one else will touch. 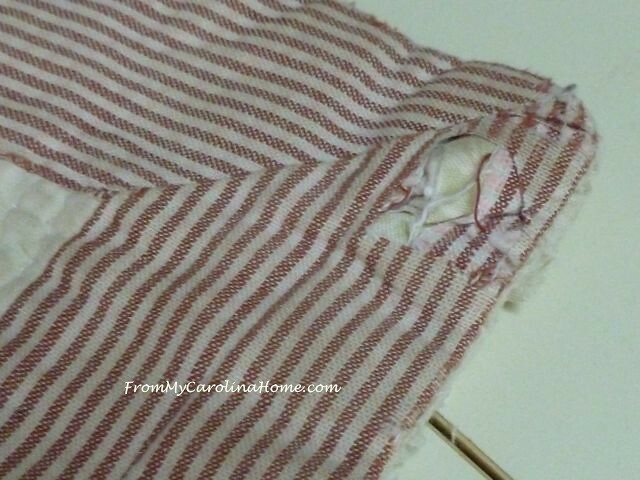 Most of the time, someone that is truly using a quilt will not care that it isn’t museum quality, they just want the worst of the damage repaired. But many quilters won’t touch these, believing they are too damaged to be repaired. In my experience, these quilt owners just want to be able to keep using a family treasure. Such was the case with this quilt, brought to me by a lovely lady named Stephanie. She loved to wrap up in this quilt, lay on top of it with her kids and the dogs while watching TV, and in general using it the way we all hope our quilt gifts will be used. But, years of use has resulted in some severe damage, popped seams, worn areas and frayed edges. The worst damage was on and adjacent to the binding. Fabric was disintegrating and pulling away from the seams all along the striped binding from the stress of use. Plus the corners which get a lot of handling were wearing away. 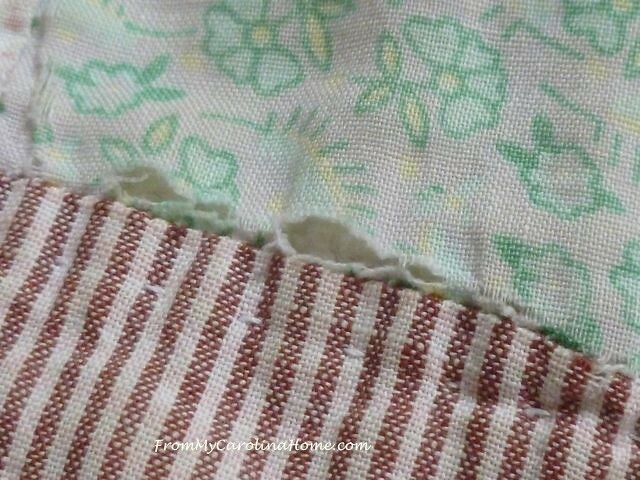 My best advice was to remove the binding plus a couple of inches where the worst damage was occurring, then use this fabric to repair the center of the quilt. Some spots like this one were in a straight line with plenty of fabric left. Those could be resewn with a satin stitch in matching color thread. But most of the tears and worn places were larger or L-shaped. These did not have enough fabric left to cover the defects, so patches were made from the fabric cut off. 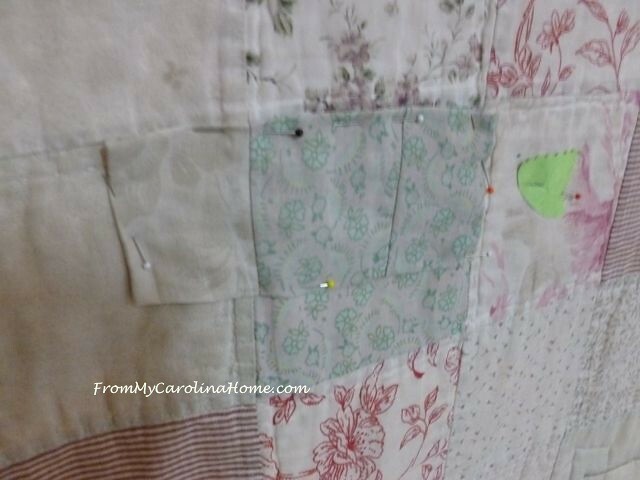 The edges of the patch were turned under, matched to the patchwork as best as I could, then topstitched on. Having a bit of every fabric helped, and sometimes I pieced two together to match up a patch. At a distance, the repairs are not obvious. I was pleased with that result. I found this fabric for her to put on new binding, and offered to tea dye it to dull it down a bit, but Stephanie said her curtains were close to this so she wanted it left the way it was. 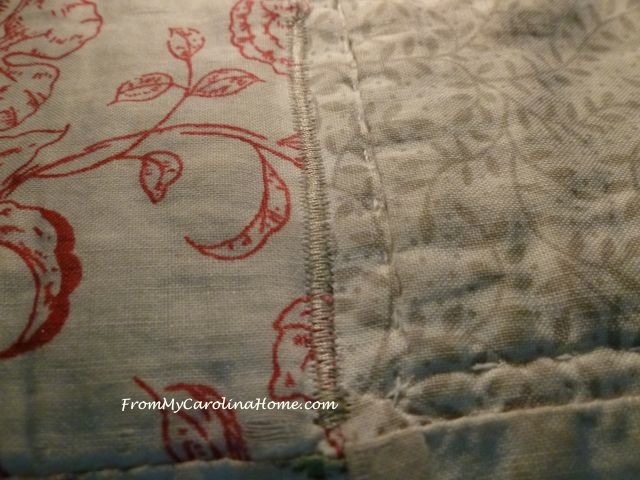 It does echo a red and cream print in the quilt, but the white background is a bit startling. Still, she thought it was fine, so I went with it. 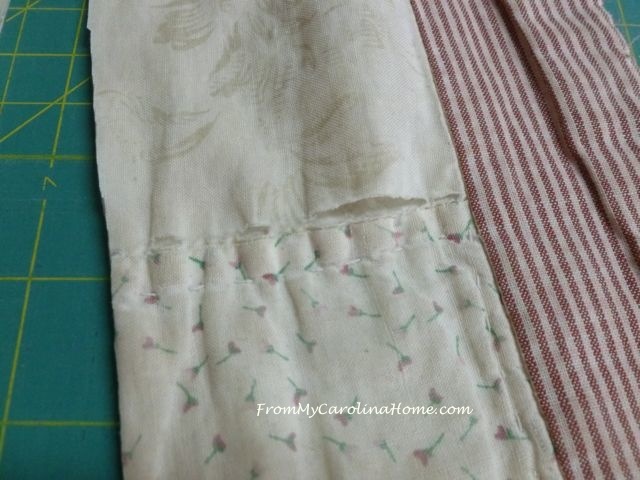 I made it very wide, to mimic the one I cut off, and give her plenty of new fabric to take the stress of handling. All done, and when she picked it up she seemed very pleased. I did give her some advice on using it in the future, to only use it for display and not to lie on top of it as the fabrics were disintegrating and wouldn’t hold up to such heavy use. I believe she said it was her grandmother’s quilt, so likely this treasure is many, many years old. All in all, though, I think the repairs are enough to keep it going for a few more years, if she is careful. Do you have any well-loved quilts? If you need a well loved quilt repaired, I am happy to work with you. I do take mailed in quilts and would discuss the particulars with you before beginning any work. 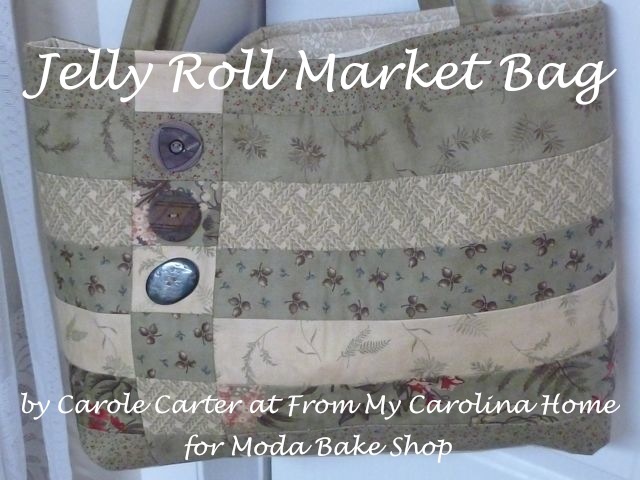 Please contact me at frommycarolinahome (at) gmail (dot) com, or see my page on the Carolina Mountain Longarm Association website – Carole’s Quilts. I’m slowly working on repairing the first quilt I made and we used until I took it out of commission a few years ago. It was a quilt in a day class and was tied, not quilted. I’m taking off the borders-which is the areas that are most worn. I would love to match up the fabric, but being close to 25 years old, that’s not going so well. 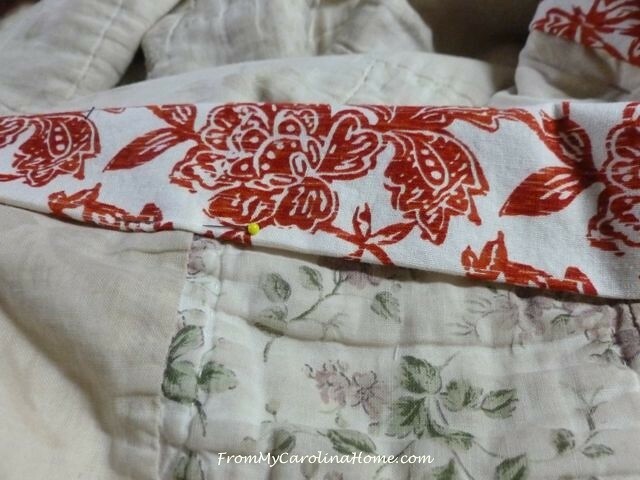 If I do find fabric that I’m happy with to replace the borders, I’m going to FMQ so it’s more stable. 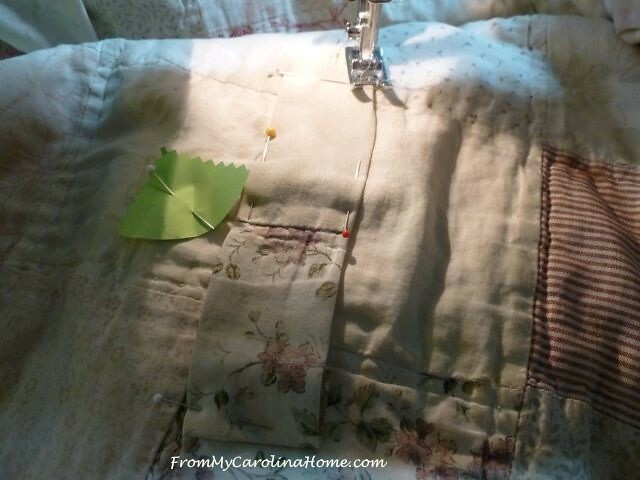 How kind of you to take up repairing old loved quilts, Carole! There is just something about restoring well loved items to a useful state that I identify with. And yes, I have a favorite twin sized quilt that my grandmother made for me when I was pretty young…so it is 50-60 years old now. My husband loved having it on the spare bed where he would take naps. He may have laid on it as much as under it. But one of the fabrics in the patchwork design has turned to gauze, so I think I need to patch over those squares. 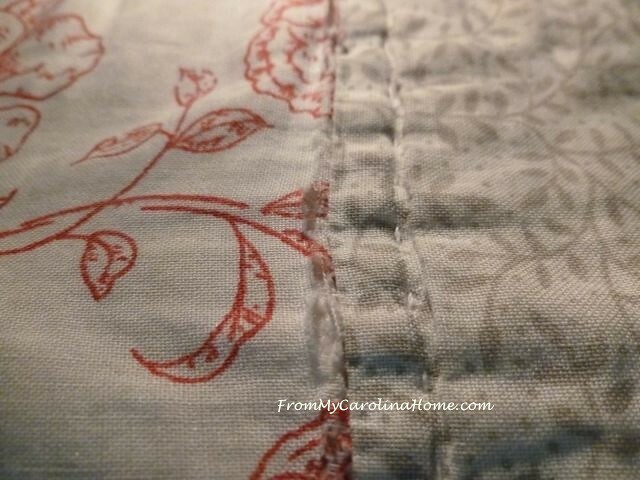 Your idea of tea staining sounded right to blend old and new fabrics. And her lovely biased binding is fraying. I have read somewhere that just binding over the old binding is effective. And the rest is in really good shape. It always makes me happy to see it. 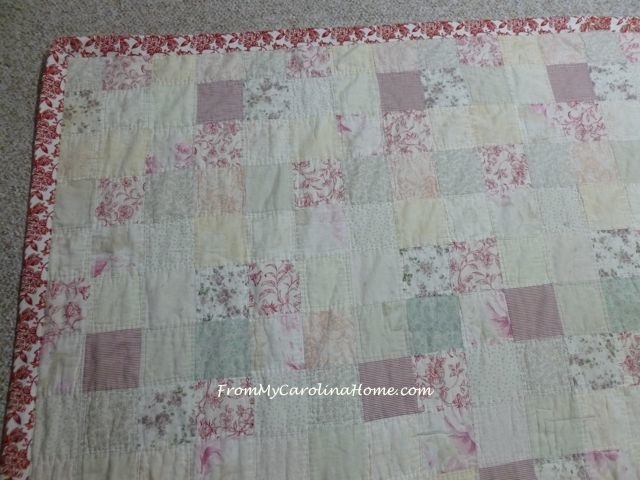 She also gave me a very worn quilt that she said her grandmother had made…it is an irish chain sort of design. I have never used it…just cherished it, and since I began sewing again have had thoughts of copying it to have another quilt to actually use. Thanks for the inspiration! I have a small hole in a quilt and have been wondering what to do. After seeing yours, I need to just repair it as it looks much better repaired than fraying like crazy and well, you know holes, they just seem to grow. It looks like it is ready for some more good cuddles! It’s great that you were able to assist her in the task. What a great thing to do. I can see why you wanted to tea dye the binding. It looks great with the quilt, even as is. How wonderful she can still continue to use it. Awesome repair job. Glad you were able to save this quilt. Excellent job. 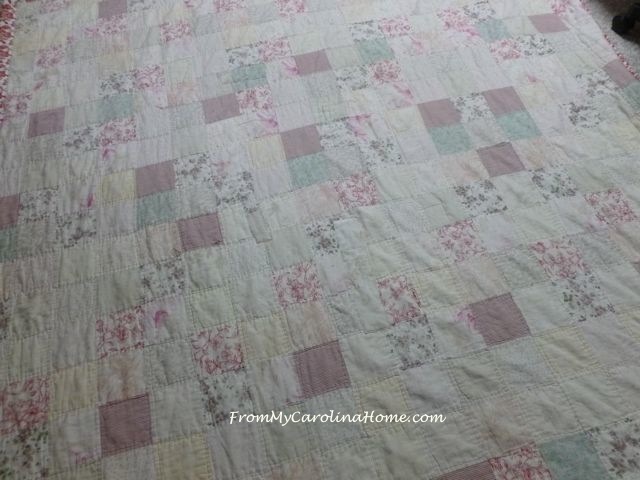 You did a wonderful restoration of this beloved quilt! From time to time I have seen much loved quilts like this and did not have a clue as to where to begin. 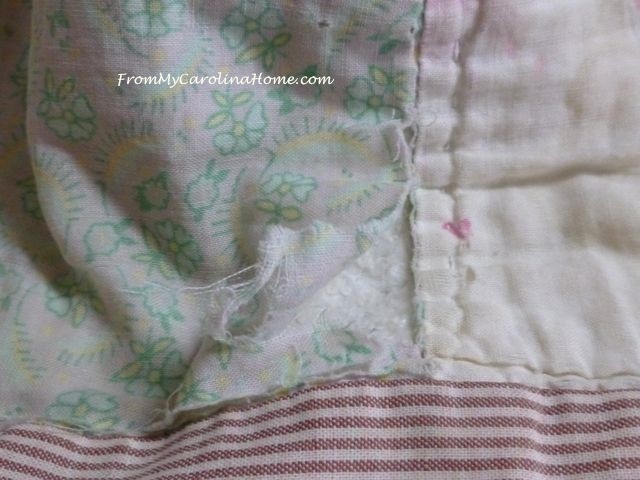 I repaired my daughter’s baby lap quilt – it was tore up, a dog had munched it. It really should have been thrown out but she was so attached to it, I found a similar fabric to repair all the rips – good for another 20-30 years. Wonderful job you did for her and nice that she can continue to enjoy the quilt. I noticed no label…..would be nice to document what she knows about the quilt on a label. Yes, I have an 80 year old double wedding ring quilt that’s a little faded and the binding is starting to fray, no labe but I have the pertinent info. 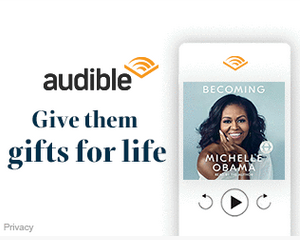 and have intended to make one–thanks for reminding me! You work magic on things old and new. I’m working on a quilt that the dogs tried to dig through. Not sure why they needed to.but DIL wants it fixed. Any suggestions for the numerous spots where they just broke the threads. There will be holes eventually if not stabilized now. I have a quilt that my mother passed down to me when she passed………it was hand stitched from her great-aunt, and was a Dresden design using lots of her old dresses fabric. 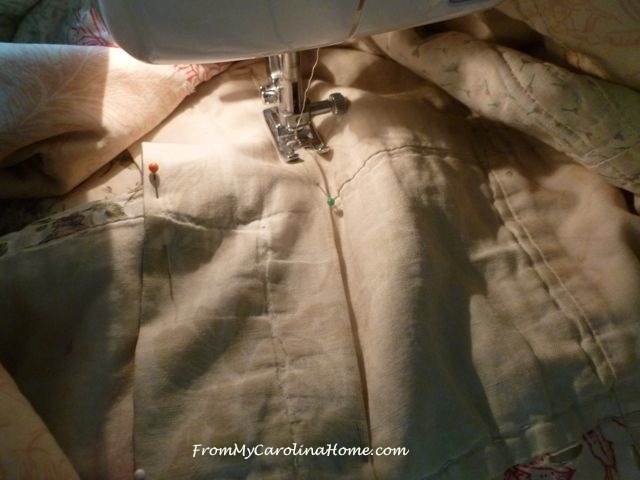 The queen sized has one panel that is denigrating it is yellow polyester, the rest is all cotton so just taking those out and putting a new piece of calico fabric will most likely do the trick…. Hello Carole! You do such a thorough job in every aspect of your quilting, I was even bragging about you on Facebook yesterday. 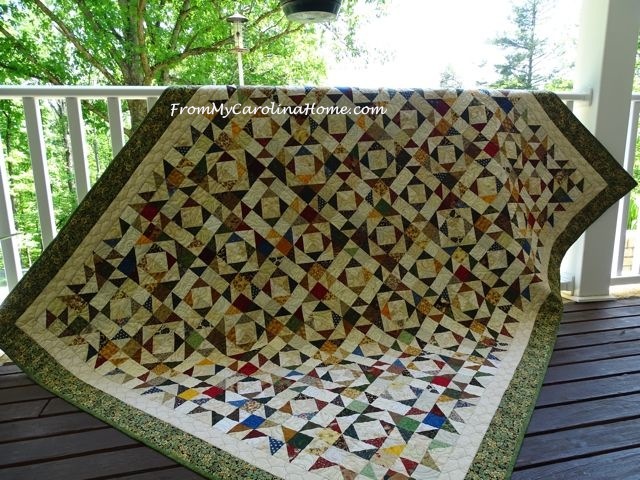 On FaveQuilts.com I ran across one of your patterns ( oh drats, I can not remember its name….but it was displayed on your black table stand and was green with pinwheels)! Not knowing the precise rules of sharing, I only mentioned your first name and the link to the site where I found it. Now today, I once again learn more about you and my respect goes up another notch. 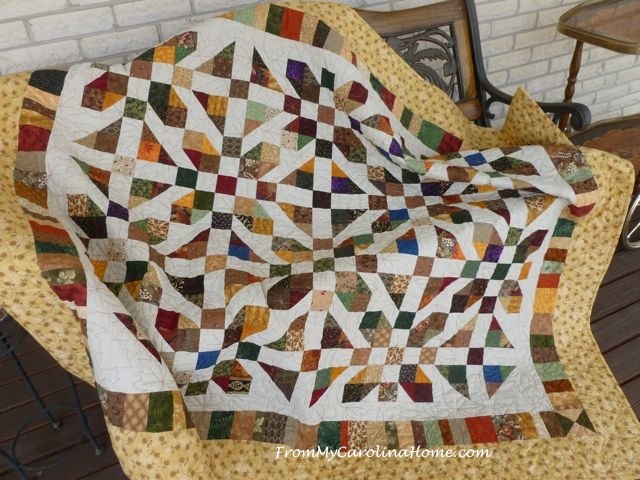 The quilt that you refinished looks wonderful, I sure wish I would have known you quite awhile ago when one of the quilts that my Father made for me began tearing and being classified as a beginner quilter at that time, I had no clue you could repair them to this extent. But anyhow, to answer your question. I have all sorts of well loved quilts, just very few that I have kept for myself! LOL. My Mother has the first quilt that I ever made. It was a Log Cabin done in a small variety of blue fabrics that my Father had given to me after he had stopped quilting and my Quilting Journey Began! She was pointing out to me not to long ago that some of the seams were wearing and coming completely apart. I said that I could take it home with me and see how to fix it exactly. I have never seen panic set upon my Mother’s face so quickly; you would have thought I had said I was going to torch it! Just as quickly she said no that she would start hand repairing the seams herself. LOL. Well, once again, I had best stop jabbering my mouth so much and get to working on some quilting. Today, I am going to work on Scrap Dance Two Step and see if I can get all caught up! So far, I am loving this Mystery just as much as every Mystery I have done with you! Have a great day Carole and Thank You for sharing all that you do! Oh my goodness…I almost wrote a book today! LOL. I hope you and everyone else has a fun time reading my comments! Phenomenal job, saving this lovely quilt! I am sure the recipient was thrilled with the work you did. I have numerous old quilts, mostly from my hubby’s side of the family as his grandmother (now deceased) and his mother (86 years old) were/are both avid quilters. My mother in law fixed my son’s favorite quilt, so he happily took it with him when he moved out. 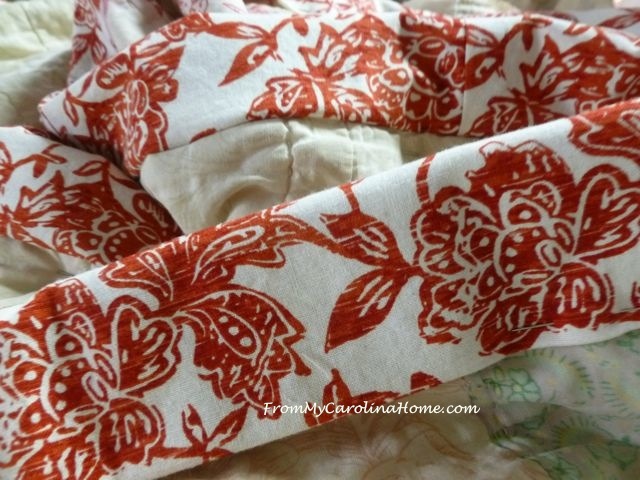 I have several old quilt tops that need some repair and need to be quilted — wish I knew of someone like you in our neck of the woods! Great repair job. It’s wonderful that you were able to help her save this treasured quilt. 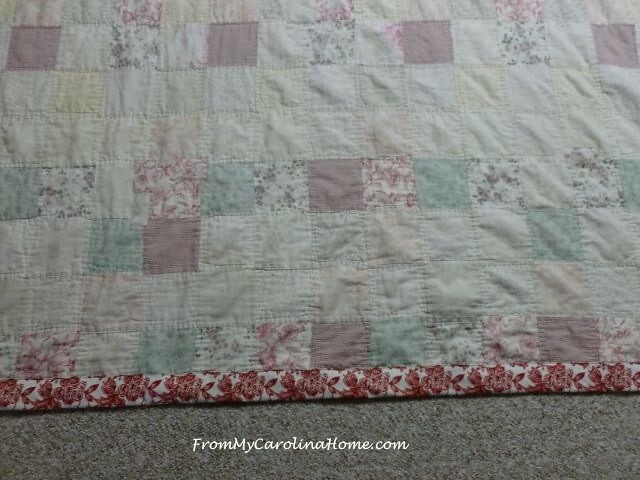 Oh wow Carole, I love how you repaired this treasured quilt for the owners. Great job. Thank you so much for your message on my blog, that was a really helpful thought! I would call repairing quilts a labour of love. You did a brilliant job. That is so great that you could repair it – it will get many more years of love! Its great that you were able to fix an existing quilt. They are too valuable and pretty to be discarded or hidden in a closet somewhere. Your quilt looks wonderful again. Wow! Very impressive repairs, Carole, and lucky for Stephanie that you could work wonders. I hope I never need your tips. Hi Carole, I repair quilts, too, as well as doing longarm quilting and re-making cherished quilts. 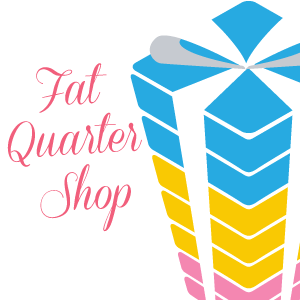 I enjoyed your entry about the favorite quilt repairs. Some of the quilts I get from customers aren’t beauties, worthy of conserving for posterity, but family loved and used quilts. 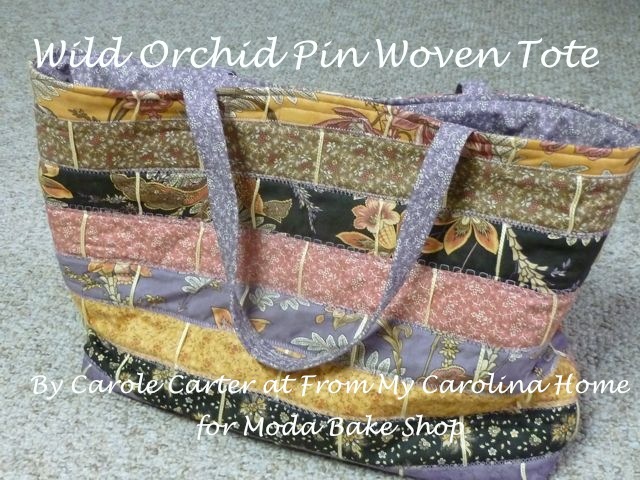 I have amassed a stash of vintage fabrics from friends and thrift stores and use those a lot in my work. 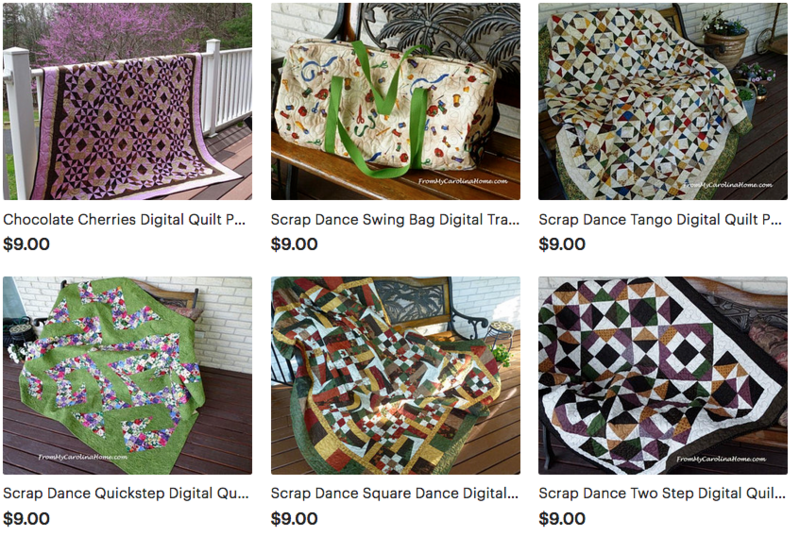 Thanks for showcasing what we do to keep the old quilts alive! What a wonderful way to restore a much loved quilt! Thank you for sharing @Vintage Charm! I have a quilt exactly like the one you repaired. It, too, had its patches begin to fray around the edges. I finally put it away so as not to wear it out any more than it already was. When I get ambitious, I’ll figure out a way to preserve the frayed squares or attach new ones. 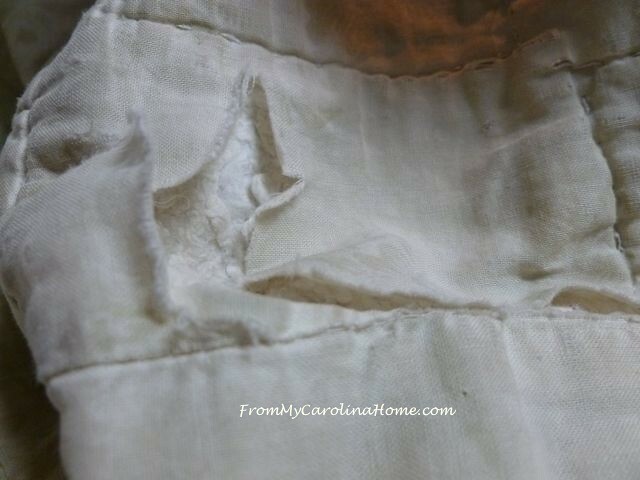 From the age and wear, I did notice how very thin the fabric had become, making it more of a challenge to preserve! Good to know there are those of you who repair our treasured heirlooms!